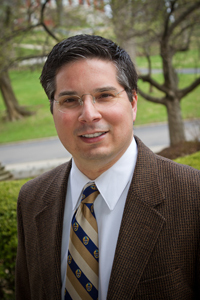 My name is Doug Schantz and I thoroughly enjoy talking about topics related to paying for college, saving for college, scholarships, financial aid, education loans and just about any subject matter that you can think of related to college expenses. I didn’t happen upon this passion by accident though. I am a university administrator by profession and have worked in the student financial services arena for a great number of years. One function of my job, that I really take pleasure in, is helping families navigate the financial aspect of their college experience. Over the years, I thought that it would be “really cool” if I could come up with a useful way to impart what I sometimes consider as useless knowledge to those that were seeking. So, I decided to do what every wisdom toting person does and I started a blog. CheapScholar.org became a reserved domain name in 2008, started to take shape in live web form by the end of 2009, was officially launched in January of 2010, and has been going strong ever since. Not only do I have a blog but I have now embraced social media to its fullest and have a following on Facebook and Twitter. No matter how you found your way to CheapScholar.org, I am glad that you are here. If you would like to learn a little more about me and the driving force behind why I blog on CheapScholar.org, I encourage you to check out this article. In the meantime, enjoy your visit, subscribe to our news feed (options are in the box on the right side of your screen—->), be sure to tell others about us, and feel free to come back as often as you like! 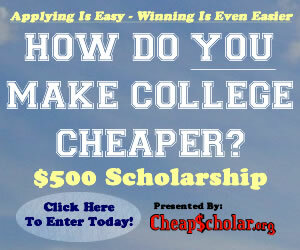 If you would like more information about CheapScholar.org, please don’t hesitate to drop me a line via my contact page.